The good news is that there are examples of Christians who are portrayed well. Believe it or not, Hollywood (or in one case the BBC) got it right when it came to portraying what it really means to live a life of faith. These characters aren’t perfect, they have their own flaws and failings, but what they all have in common is a deep abiding faith that guides them and motivates them to help others. They embody the core tenets of the faith, and their imperfections are not that different from our own. After all, perfect characters of any stripe aren’t that interesting, and Christians are no different. This is a show you won't see on American television unless you are an avid PBS watcher. However, if your local library has a substantial BBC collection, or if you've got Netflix, I would highly recommend checking out this little gem. Geraldine has plenty of flaws. Her pet sin in gluttony, but she also has a temper and has been known to overindulge in drink at the most inopportune times. She's clearly not perfect, which is why she is an example of a great Christian. Her imperfections allow her to connect with her parishioners and truly get their struggles. Her humbling moments allow her to grant grace and forgiveness to the very people who drive her up the wall. 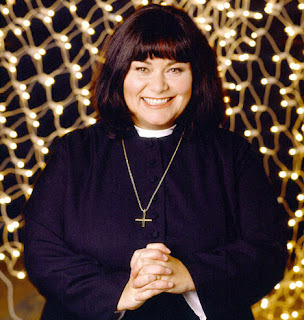 Finally, she never wavered in her faith and commitment to tell the wonderful story of how an all-powerful God loves the people of Dibley, of England, of the world. And thanks to her, England, as well as the United States, now can boast many women in spiritual leadership, and we are all the better for it. President Bartlet, like most of our Presidents, had a deep abiding faith. He was Catholic, like Kennedy, and he often wrestled with reconciling his faith with the decisions he had to make. Should he launch a retaliatory attack? Should he give a pardon to a death-row inmate? These decisions did not come lightly, nor should they have for someone so powerful. His best moment, in my view, was when he yelled at God after his secretary, and good friend, Mrs. Landingham was killed by a drunk driver. It's a common television trope, having a character yell at God like that, but it's one I can get behind. After all, to get that angry at God, you have to have faith that there's a God to hear you. You have to believe that God is powerful enough to prevent these disasters but for some reason chose not to. It can make anyone mad, and we've all been there, even those who don't have a lot of faith. 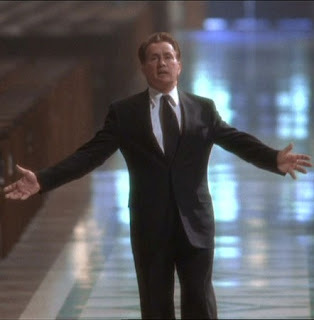 Ultimately, Bartlet survived his crisis of faith and came out stronger than before, and as we're going to see in this list, he isn't the only one. Bartlet is a great demonstration of a Christian leader, one who takes the teachings of Christ seriously as he tried to do the right thing. He didn't use his faith to pander, he used it to guide his own actions, and that makes all the difference. In his last major role, David Boreanaz played a character who would burn if he touched a cross. In Bones, he plays an FBI agent who puts great faith in one. Booth is Catholic, and provides a great foil for Dr. Temperance Brennan, a forensic anthropologist who most definitely does not believe in God. Naturally, these two partners for six years will argue about all manner of things, including faith, God, and the role of religion. She can't see how anyone could believe in God; she believes in science and what can be observed, measured, and cataloged. Given all she's seen in her life and her job, she has a hard time believing in a God who could allow for things like murder, genocide, and all the other suffering in the world. Booth, on the other hand, has also seen horrible things in his life. He was a sniper during the first Gulf War and has seen plenty of horrors. For Booth, these horrors only made his faith stronger, and it's strong enough to not be threatened by his partner's questions and sometimes outright attacks. This is why I like his character. True, he isn't a saint, but he will never stop loving Brennan, even when she continues to challenge his faith. He exemplifies how Christians are to interact with people who hold different opinions. He never belittles, dismisses, or condescendingly threatens her with Hell. Rather, he is right by her side when she needs him, and he never, ever gives up. So a priest and a rabbi fall for the same girl. Edward Norton's character in Keeping the Faith is a complicated man. He is committed to this faith, committed to being a Catholic priest, committed to his friendship with Rabbi Jake (Ben Stiller), and at the same time very human. His struggle is not unlike the struggle of Richard Chamberlain's character in The Thornbirds. After all, how is he to reconcile his very real feelings with his vow of celibacy? It's a struggle that many Catholic priests (and monks, and nuns) have to deal with. There's a great scene in which Finn talks to one of his mentors, a man who's been a priest for many decades. His mentor explains that he's fallen in love at least once a decade. Ultimately, while the struggle wasn't easy, it did make him stronger. Finn has to decide whether he wants to be a man who comes out of the struggle stronger than before. He fights, he hurts his friend, he makes a complete fool of himself, and in the end, he's human. He and his friend do make up, especially as Rabbi Jake has his own struggles of faith. This movie stands the test of time as an example of faith in the real world, especially the struggle that many of us go through. You don't have to be a member of the clergy to identify with these characters. 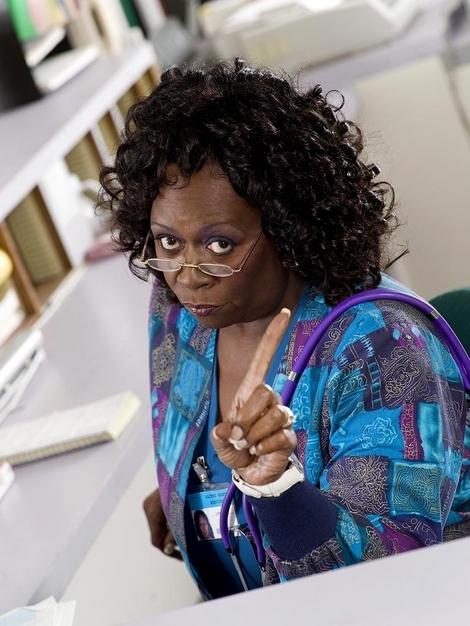 Laverne filled Sacred Heart's quota of sassy nurses. But behind the cookie-cutter character was a woman who loved Jesus and had no problem telling anyone about that love. While it would be easy to have turned her into a stereotype, she wound up being the hospital's moral center in a place full of ethical dilemmas. On more than one occasion, she reminded the staff that Jesus was watching, prompting them to make the right call. Her best episode came when she sparred with Dr. Cox over whether bad things happened for a reason. She refused to back down when Dr. Cox repeatedly criticized and outright mocked her faith in a higher power, faith that good can come from bad. In the end, Laverne held strong and was even able to get Cox to admit that some of the tragedies he'd faced lately had done some good in his life. Laverne believed, and her faith made her stronger and better able to handle the horrors of the hospital day in and out. 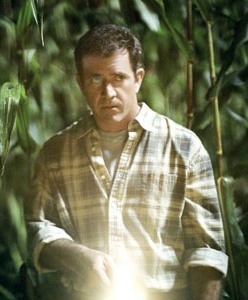 Say what you will about Mel Gibson and M. Night Shyamalan, their collaboration in Signs gave us a nuanced portrayal of a man who thought he lost his faith. Gibson's Graham Hess was a widower who'd lost his faith after the accident that killed his wife. He walked away from his church and from God, wanting nothing to do with either. For him, faith now amounted to empty platitudes that didn't hold up to the real world. Then the real world got invaded by aliens. Now, I'm not getting into the alien invasion plot, because my focus is on how it affected Hess. The movie can best be seen as a metaphor for anyone who's lost faith, because sometimes we find it again in the midst of a crisis. It can be those bad times that make us better and stronger. In this case, all the bad things that his family endured turned out to be blessings that allowed them to survive the alien attacks. It was only through this crisis that Hess realized that perhaps the universe wasn't just a collection of random occurrences, that maybe there is a plan. He rediscovered his faith, and while we don't get to see it in the movie, I'm certain his faith was far stronger than it had been. 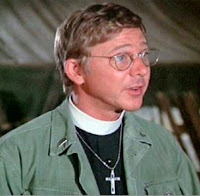 For 11 years, (three times longer than the actual Korean War) Father Mulcahey served the spiritual needs of the 4077. Though he was a Catholic, he freely ministered to anyone of any faith, even those without any faith at all. Father Mulcahey had his share of doubts. He often wondered whether he was doing any good. While the doctors saved lives, something very tangible, his specialty was the soul. It's a common question for men and women of the cloth - am I actually doing anyone any good? He could preach sermons day and night, he could take confession, offer counsel, give last rites when needed, but at the end of the day he had to take it on faith that his efforts made a difference. Despite his doubts, Mulcahey did a lot of good. His work with the orphans of Korea was something very tangible. His counsel and comfort allowed the doctors to survive their own doubts, fears, and crisis of faith. He was the glue that held the camp together through many a crisis, and he wasn't afraid to speak his mind or even risk his life when needed. He didn't preach his faith, he lived it, and for a meek little man, he was actually one of the strongest characters on the show. Of course he’s in here. 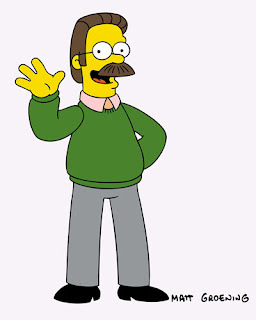 While at times Ned is the annoying foil, or at very least the meek, abused neighbor who just keeps taking it from Homer, he is in many ways one of the best embodiments of Christian living on television. Many Christians and churches have embraced the Simpsons because of Ned and his very real faith, which is ironic since The Simpsons was loudly denounced by Christians when it first premiered. While many see him as too earnest and annoying, Ned is full of grace, forgiveness, and love for his neighbor. If anyone has a need, Ned's there to take care of them. He even survived his own crisis of faith when his wife was killed by a t-shirt gun. Still, Flanders is not without his flaws, and boy does he have them. He’s sometimes gotten carried away with moral crusades, whether it was monitoring television to find out what people should be offended over, or nagging the town of Springfield into good behavior via security cameras. At times, Ned has been used to portray Christians at their worst, especially when he caused Reverend Lovejoy to have his own crisis of faith. Still, Ned is no more imperfect that anyone else on The Simpsons, or anyone else on this list. His faith is real, his flaws are human, and just like many of us, he's just another person struggling to figure out what it means to be a person of faith in the 21st Century. Shepard Book. That is all.